The Kennedy is one of our most versatile models we offer, making it one of the most popular single family home models. What makes the Kennedy model so special? The versatility of the Kennedy appeals to many different needs and wants in a new home. With the ability to change this home from a 3-bedroom to a 7-bedroom home when you develop the basement and everything in between, it is unheard of. Plus, there are seven different exterior looks to choose from (depending on the community guidelines). Almost every room in the home can be tweaked with our floor plan options. 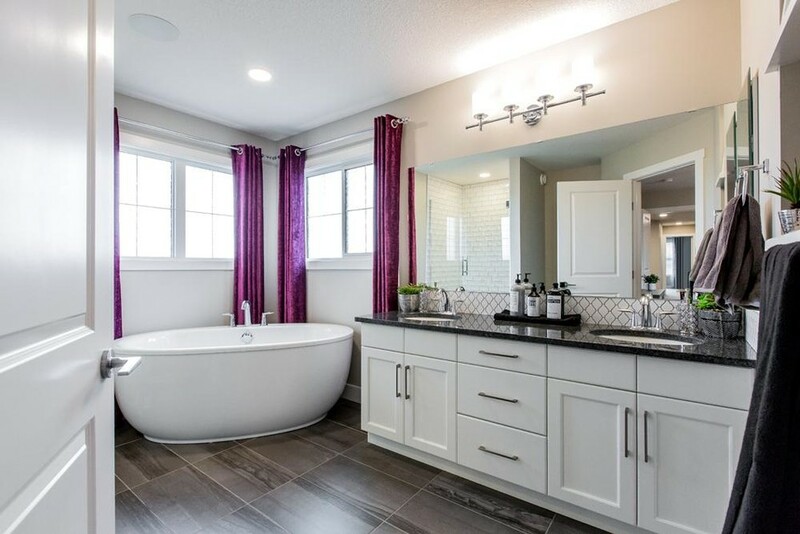 You can make the garage wider and longer or add a bedroom with full bathroom on the main floor for the in-laws or create a spa-inspired ensuite…the options are endless! 4-bedroom Option: The second floor of the home is adjusted to have four bedrooms, laundry, full bathroom, bonus room and ensuite in the master bedroom. Main Floor Bedroom: Having a bedroom on the main floor with a full bathroom is a popular option for people with elderly parents or guests staying with them. Spa Ensuite: Having a spa retreat in your home is just bliss. This option separates the shower and bath tub creating a place you would want to soak in after a long day! I’m in love, when can I move in?! The One at Keswick, Prescott and Rosenthal have this model available to move-in to today! It is also available in a variety of other communities! What do you like best about this model?